The Ram 2500 is one of Ram’s heavy-duty truck models. It has a reputation as a long-lasting, reliable and powerful truck. Aside from a couple added exterior options, the new 2017 Ram 2500 lineup wasn’t drastically changed from the 2016 model year and we expect it to be one of FCA’s best sellers again. Consumers like the Ram 2500 because of the powerful engine options (particularly the Cummins TurboDiesel you will learn about below), the mega cab (which is one of the the biggest truck cabs on the market), the quality interior and exterior, as well as its capabilities, especially when it comes to towing. But don’t just take our word for it, if not, take the word of consumers and professional auto reviewing companies. Consumer Reports rates the new Ram 2500 an average rating of 4.5 out of 5 stars. There are eight trims on the 2017 Ram 2500 lineup and they range from the basic work truck to a luxury truck with all of the bells and whistles to the off-roading monster, the Ram Power Wagon. Regardless, each trim comes with it’s own personality and unique features. Apart from the trim options, there are also four engine configurations across the lineup. The engine options include: the base 5.7-liter HEMI V8 engine with an automatic transmission; the 6.4-liter HEMI V8 paired with an automatic transmission; and the all-powerful 6.7-liter I6 Cummins Turbo Diesel engine paired with an automatic or manual transmission. Each of the engines are powerful, even the base level engine. The base 5.7-liter HEMI produces up to 383 horsepower and 400 lb-ft of torque and the 6.4-liter HEMI V8 produces 410 horsepower and 429 lb-ft of torque. When the 6.7L Cummins Turbo Diesel engine is paired to the six-speed manual transmission, the truck produces 350 horsepower and 660 lb-ft of torque and when paired to the six-speed automatic transmission horsepower is boosted to 370 horses and torque increases to 800 lb-ft of torque. Towing capability varies depending on trim, axle ratio, truck weight, engine, and more. However, for this section we will tell you the maximum weight each engine can tow. Just keep in mind the weights may change depending on trim, engine, etc. The 5.7L has a maximum towing capacity of is able to pull up to 13,900 pounds, the 6.4L HEMI can tow up to 16,300 pounds, and the 6.7L Cummins Turbo Diesel can tow up to 18,000 pounds, making it the most powerful engine on the lineup! 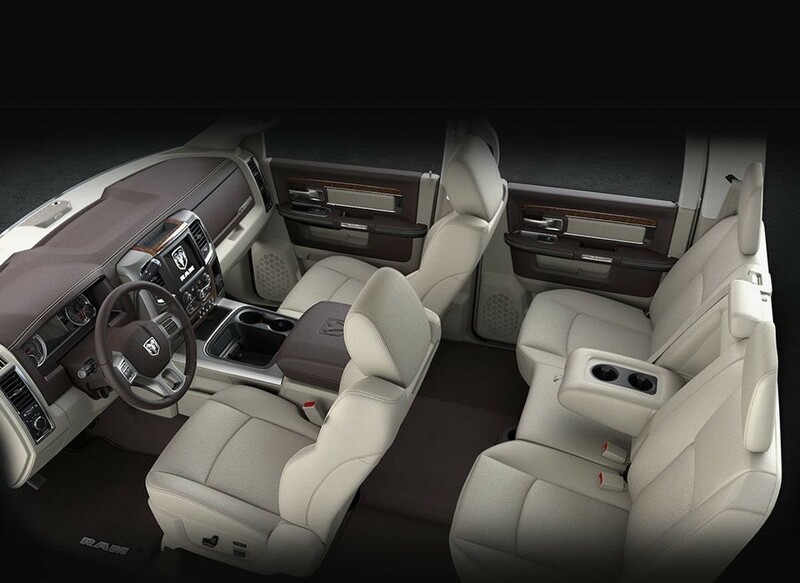 The interior style of the Ram 2500 has not changed much since last year. Some of the standard Ram 2500 interior features include a 40/20/40 split folding bench seat, cloth seating, black vinyl floor covering, and buyers have the option of three interior color schemes. There are upgrade options like leather seating, heated seating in the first and second rows, several more seating color choices, a Ram work grade vinyl split folding bench seat, and more. The exterior is as good looking as ever. Features like tinted glass windows and a tinted windshield, 17-inch steel wheels, Firestone brand tires, incandescent tail lights and halogen quad headlamps are standard even on the 2500 Tradesman (base trim.) In addition, features like 18-inch wheels, Goodyear brand tires, clearance lamps, LED bed lighting, a tri-fold bed cover are also available. Technology is always important when searching for a new truck. 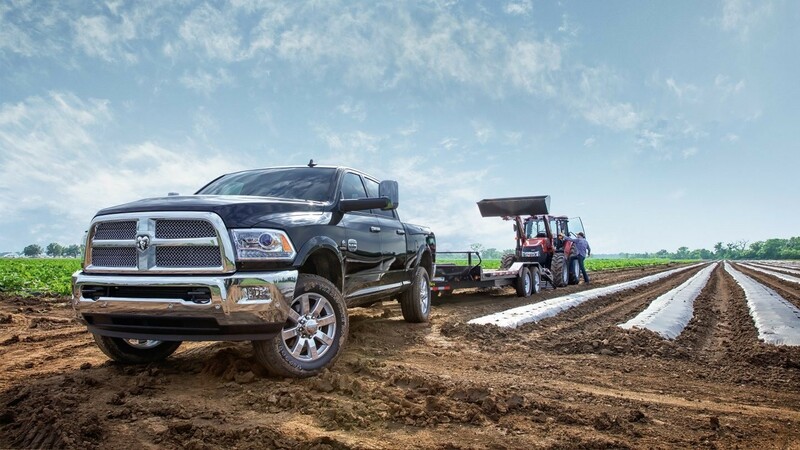 The Ram 2500 is loaded with great standard entertainment and safety technologies. The Ram 2500 has standard safety features like advanced multistage airbags, electronic stability control, a Sentry Key anti-theft alarm system, speed control, and a tire pressure monitoring display. Available upgrades include a rearview backup camera, parking sensors and remote start. When it comes to entertainment, drivers and passengers will never be bored in the Ram 2500. Entertainment features on the Ram 2500 Tradesman include a six-speaker audio system with an audio jack for mobile devices and a media hub with a USB port. But other Ram 2500 trims include an 8.4-inch touchscreen, Uconnect 8.4 and a premium sound system. Prices for the Ram 2500 vary depending on the trim, engine and truck configuration. The base price for the 2017 Ram 2500 Tradesman begins at $32,145, and the pricing goes up to roughly $57,295 for the highest level trim, the Ram 2500 Limited. The warranties were unchanged for the 2017 Ram 2500 and include a three-year or 36,000-mile basic warranty and either a five-year or 60,000-mile gas powertrain warranty or a five-year or 100,000-mile diesel powertrain warranty. Interested in one of these bad boys? 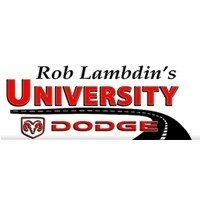 We have plenty of new Ram trucks at University Dodge Ram. We are the largest Ram truck dealer in inventory and sales in the Southeast U.S. You can check out all of our available Ram 2500 trucks here.